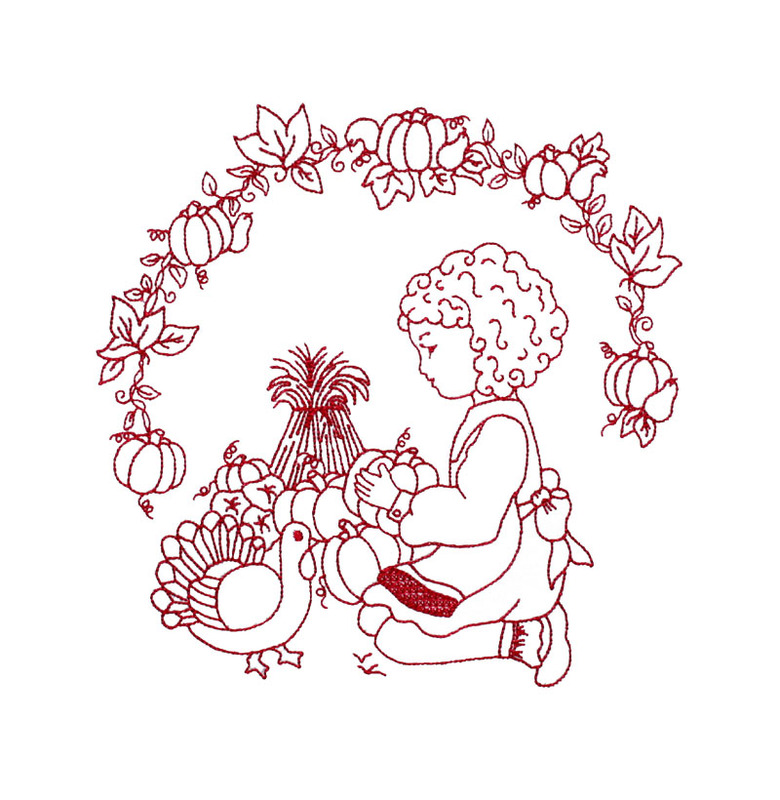 Hoop Sizes - 5" x 7", 6" x 10", 7" x 11", and 8" x 12"
Our sweet little Sugar Dumplin is stitched in 12 designs - one for every month of the year. wall hanging year round! 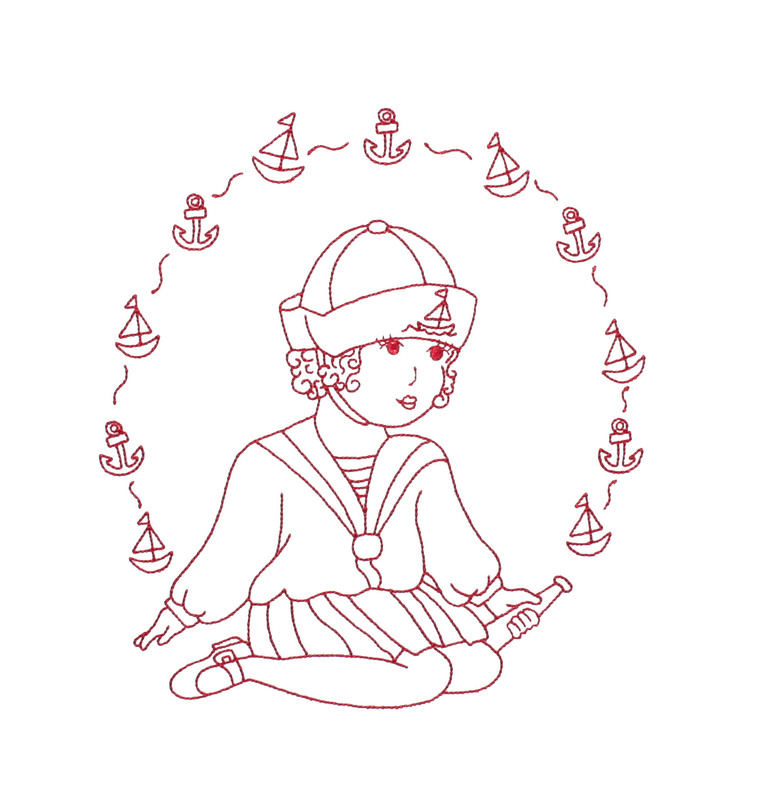 Just pop a new one up each month. No need to redecorate your walls! 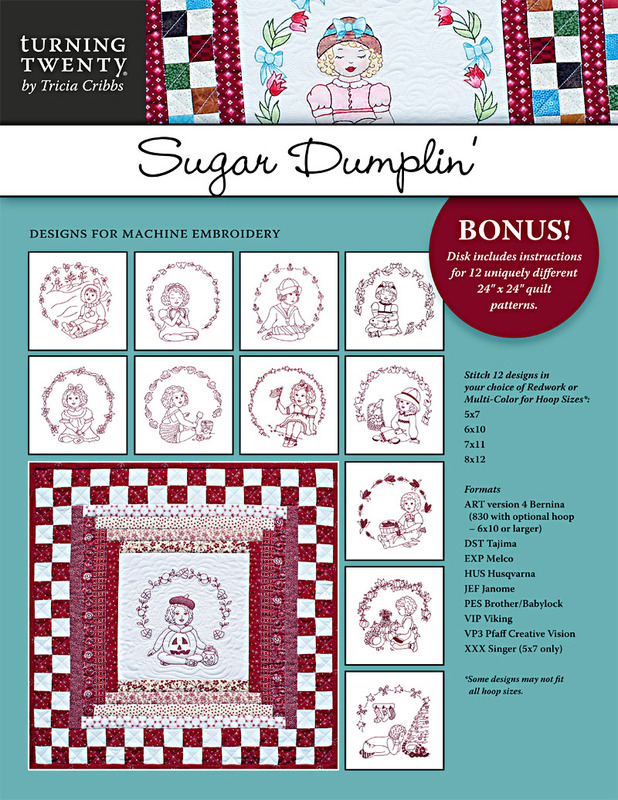 The CD includes all 12 Sugar Dumplin designs and all 12 quilt patterns.